This double sided timber can post is 6 x 6 inch in a treated pine post for direct bury. Steel arms support cans at handle and bottom. Chains are provided to prevent loss of lid. Holds 32 and 20 gallon cans which are sold separately. 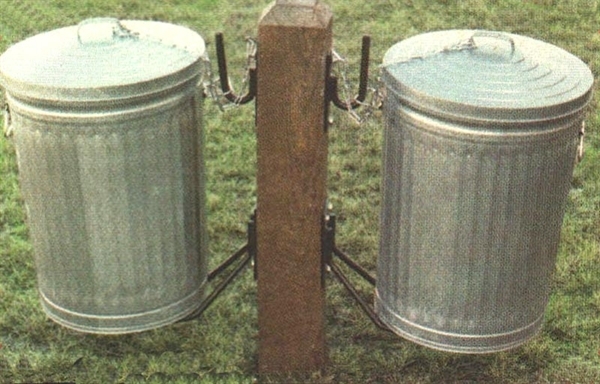 Keep your trash can receptacles off the ground with this wooden can post.